Chemical regulations are lacking, labels can be misleading, and greenwashing is all the rage; it is a tricky, tricky world out there. Because children are still developing their brains and bodies, they are more susceptible to toxins in their environment. Even small exposures can lead to lifelong disabilities or future health problems, such as learning disabilities, infertility and even cancer. 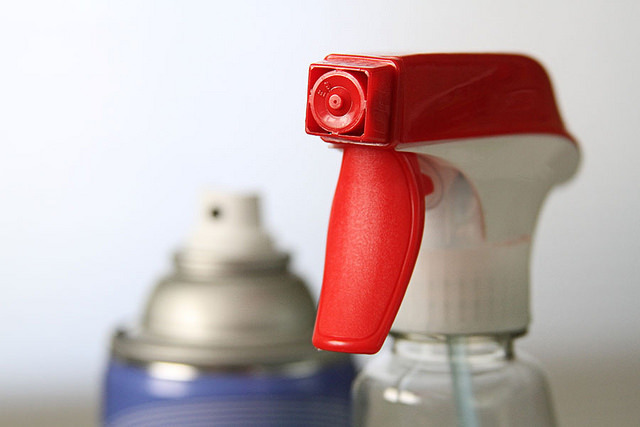 This is why it is so, so important to be aware of the hidden toxins in many everyday items. By maintaining awareness you can help minimize your child’s exposure. Here are a few things to look out for. The best way to avoid flame retardants is by not purchasing flame-retardant products. You can also use wool or cotton blankets to minimize your child’s contact with flame retardant materials. Choosing foods grown with fewer pesticides and buying organic whenever possible is the most efficient way to minimize your child’s exposure. Abstaining from using chemical pesticides and herbicides in and around your home is also a good idea. All-natural bug repellents are also a great alternative to chemical-laden sprays.